If you’re anything like me, then you know there’s nothing like having “Hot Fun In The Summertime!” Summer is in full swing with family reunions, grilled food, jammin’ hot tunes, and fun trips across the map. 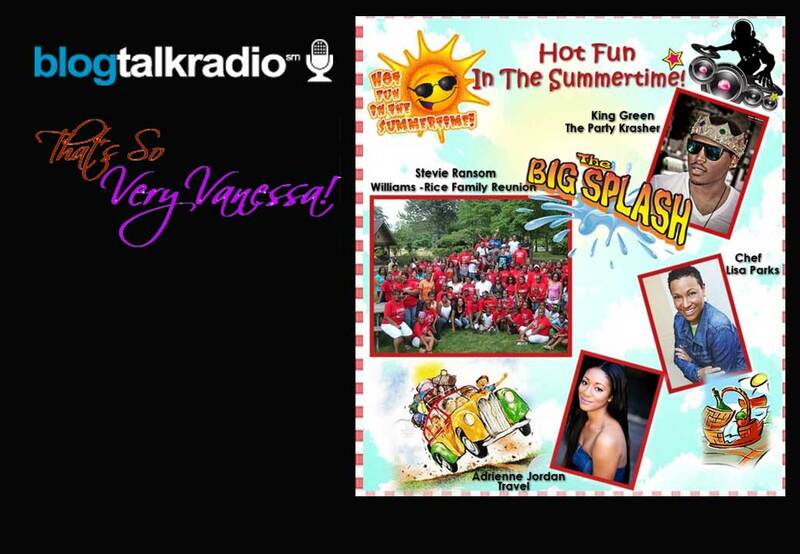 Tune in this Sunday, July 14, 2013 (3:00 pm PST and 6:00 pm EST), to That’s So Very Vanessa! BlogTalk Radio to hear my guests King Green The Party Krasher, Chef Lisa Parks, Steven Ransom, and Adrienne Jordan. Please LIKE and SHARE this post with your Facebook and Twitter friends!